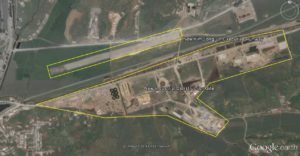 In this Google Earth image, we can see a new Kim Jong-un/executive runway being installed in Unsan County (은산군) Between the Sunchon Cement Factory and a large industrial construction site just south of the runway. The new runway is approximately 870 meters and is intended for small Cessna-style aircraft–similar to other runways constructed throughout the country intended for the leader. It appears the runway construction is being carried out in coordination with the new industrial construction site taking place just to the south of it. 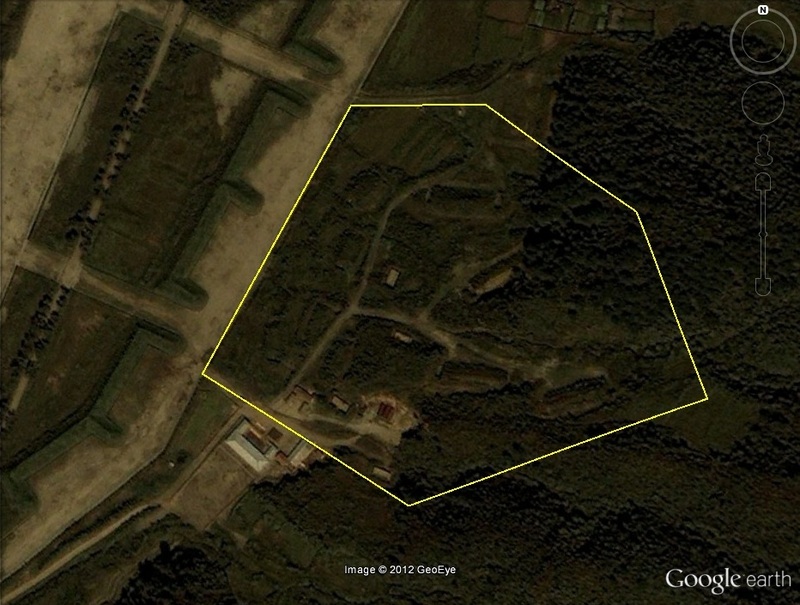 The new large construction site itself is over 1.5km in length, but its purpose remains a mystery. Like many projects, it has not been mentioned in the official media. If any readers have any ideas what any of the building foundation imprints could be for, please let me know. I have already talked about this with Radio Free Asia. I reported in Radio Free Asia this week on Kim Jong-un’s new Sinchon runway. This is the 6th small-craft runway to be built in the Kim Jong-un era and the fifth to be built to service a restricted family compound. 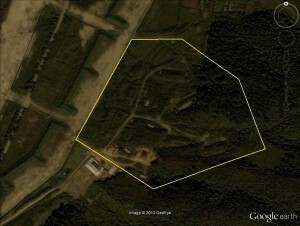 We know that this is a Kim family compound because Kenji Fujimoto visited it and took pictures. The runway is approximately 600m long and was built between January and October of 2015. 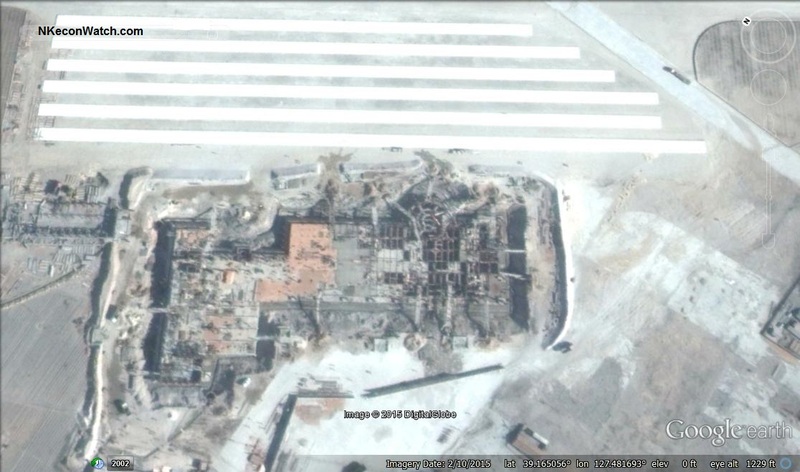 It appears to be built of concrete, unlike some other runways that appear to be made of asphalt, and there do not appear to be any facilities for sheltering, refueling or repairing any aircraft that land here–indicating that it is not a node in Kim’s transportation network. Unlike the family compounds in Kangdong and Wonsan, this Sinchon residence has not been featured in any official media, so it is unclear how many times Kim Jong-un has actually visited the place. It is most known for its hot spring pools and saunas. 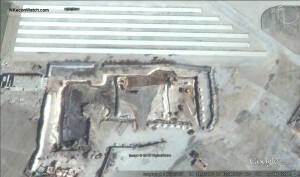 The compound was already served by dedicated highway linking the compound to the Pyongyang – Kaesong Highway, and there is a train station nearby that has been equipped to receive trains thought to be carrying the former leaders. The only other noticeable change has been the expansion of the security perimeter on the northern side of the compound. 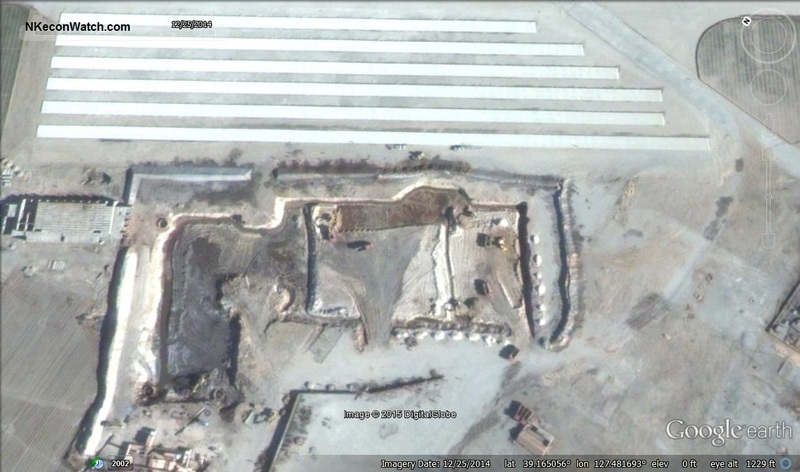 UPDATE 1 (2015-8-17): Kim Jong-un visited the Wonsan Airport (Kalma Airport) for an air force demonstration reported in Rodong Sinmun on July 30. You can see a video of that event here. A second official video claims that the demonstration took place on July 28. 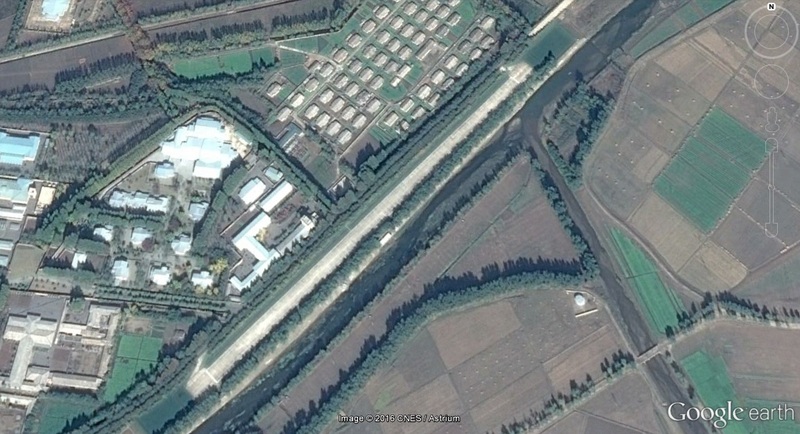 A satellite image of the facility was taken just the day before (July 27) and we can see some of the new facilities and preparation for Kim Jong-un’s arrival. I have already reported on most of this material at Radio Free Asia (새단장 갈마비행장…활주로에 광고도). 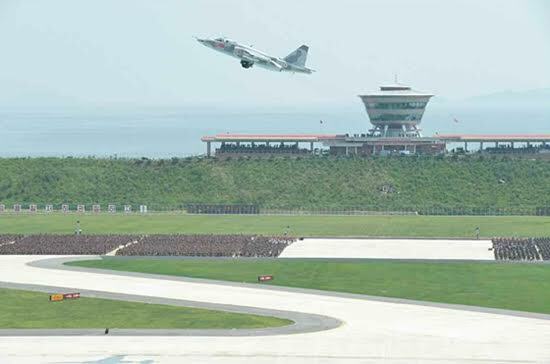 Pictured above: Kim Jong-un’s runway in Taesong district of Pyongyang which bears a close resemblance to the facilities at the Wonsan Kalma Airport. 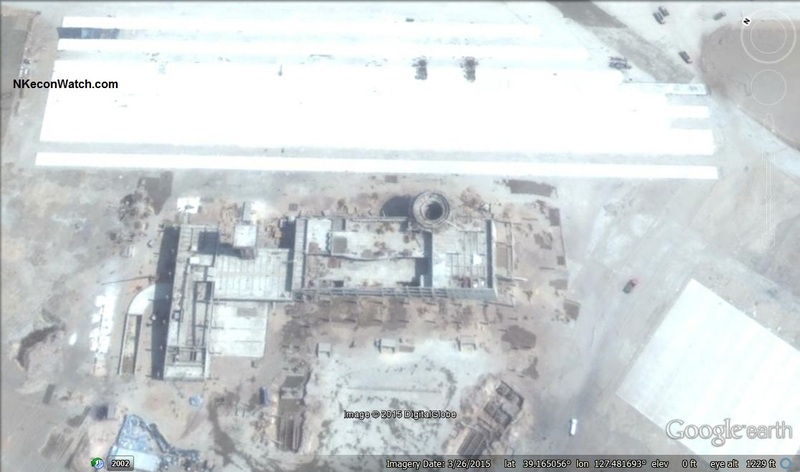 ORIGINAL POST (2015-5-1): New Google Earth imagery shows continued development of the new civilian airport in Wonsan. 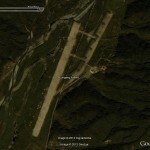 The airport is presumably intended to support the Wonsan-Mt. Kumgang International Tourist Zone. 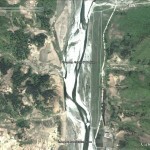 An oft-suspended tourist route between China and North Korea has been reopened after its latest closure. A charter flight carrying 73 tourists left from Yanji, in the Korean autonomous prefecture of Yanbian in northeast China’s Jilin province, for Pyongyang in North Korea on Thursday. The route will be open until early October, with a planned 32 charter flights on Thursdays and Sundays. All seats on the flights in June have been booked, according to Yanbian Tianyu Travel Agency, which runs the route with North Korea’s Air Koryo. A four-day trip costs 3,980 yuan (US$650) per person while a five-day trip costs 4,480 yuan (US$720) per person, according to the agency. 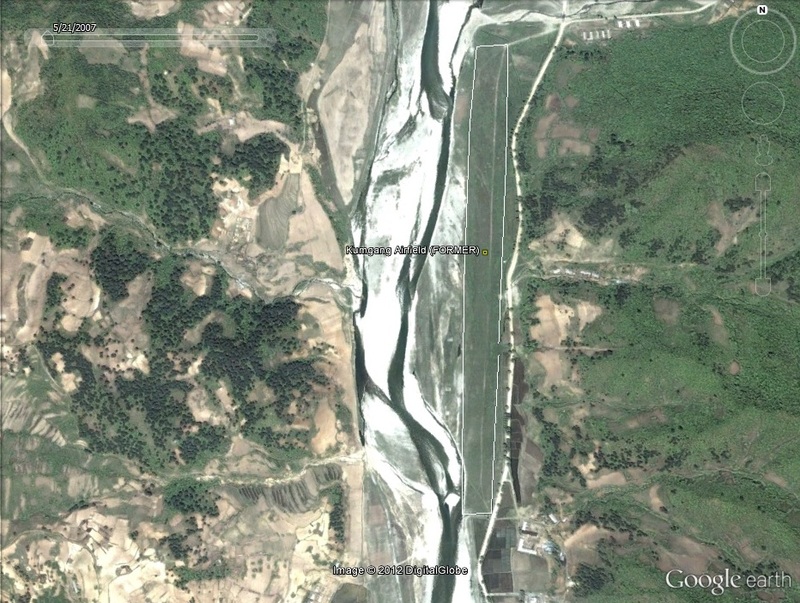 The route between Yanji and Pyongyang was first opened in July 2012, but it was closed for the whole of 2013 due to tensions in North Korea. It resumed on June 29 last year and was suspended again in October. A total of 90 flights had been completed on the route by October. Air passenger traffic between the North Korean capital and the neighboring Russian port city of Vladivostok surged more than 20 percent in the first half of 2014 from a year earlier, a news report said Wednesday, amid signs of closer ties between the two nations. The number of passengers between Sunan International Airport in Pyongyang and Vladivostok International Airport in the Russian Far East shot up 22 percent on-year during the January-June period, the Washington-based Radio Free Asia (RFA) reported. It cited data from the Vladivostok airport, which did not reveal the exact number of passengers and the reason for the jump. However, RFA attributed the surge to increased bilateral exchanges and cooperation in economic, tourism and other fields. The sharp increase compares with a 1.7 percent drop in the number of users of Vladivostok International Airport during the six-month period, which totaled 838,000, it said. North Korea’s Air Koryo operates the Tupolev Tu-204 aircraft twice a week, on Mondays and Fridays, on the Pyongyang-Vladivostok route. The Democratic People’s Republic of Korea is directing big efforts to developing tourism as one of major industries. In this regard, KCNA met Jo Song Gyu, director of the International Travel Company of the DPRK. 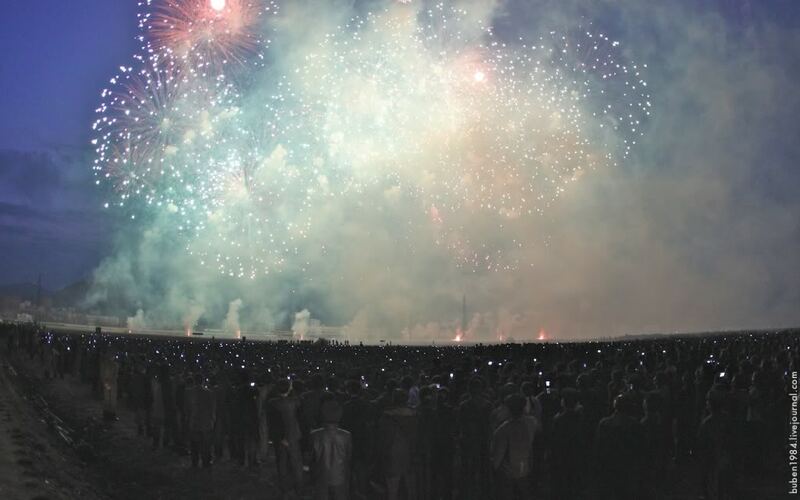 Consistent is the policy of the Workers’ Party of Korea and the DPRK government to develop tourism in the country. Abundant in tourism resources, the country has a bright future to develop tourism. Regular air route will be opened between Pyongyang, Lake Samji and Wonsan for local and foreign tourists. The country also plans to open air routes between Pyongyang and Chinese cities like Shanghai and Yanji. 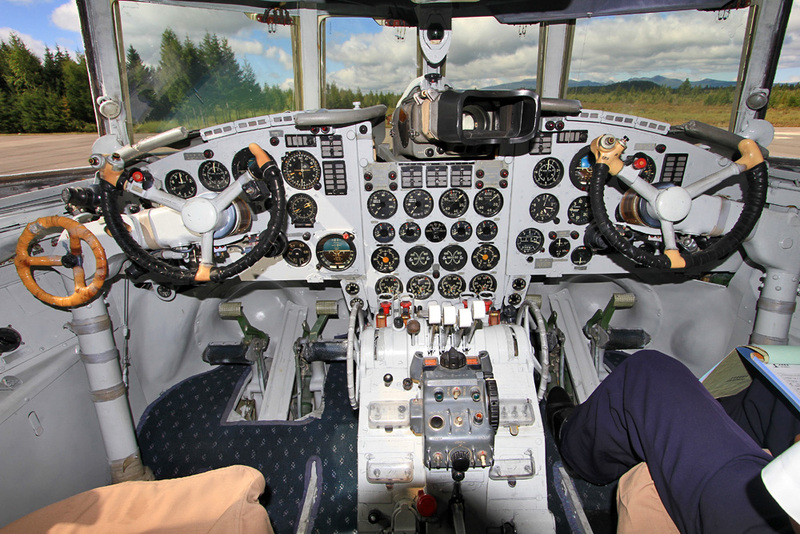 Air services will also be available for people in Southeast Asia and Europe to come to DPRK for sightseeing. Wonsan and Mts. Paektu and Chilbo areas are likely to be linked with other countries and regions by air services. Economic development zones to be built in each province will serve as tourism destinations. Hotels in Pyongyang City are being renovated at the world’s level. A number of fitness centers, service complexes and souvenir and duty-free shops will be built for tourists. The government will allow foreigners to launch independent business or joint venture in the country to invest in tourist resorts and economic development zones and construct and manage hotels, shops and other tourist facilities. It will render preferential treatment to foreign businesses which come to the DPRK before others so that they can begin making profits as early as possible. It is also inviting foreign tourist experts for development of tourist resorts and operation of hotels, restaurants, etc. UPDATE: Last week I reported this story in Radio Free Asia. ORIGINAL POST: In The Armed Forces of North Korea Joseph Bermudez gives a thorough accounting of most of the DPRK’s airfields, airports, highway strips, and air force bases. Since the book was published in 2001, however, it is slightly out of date. 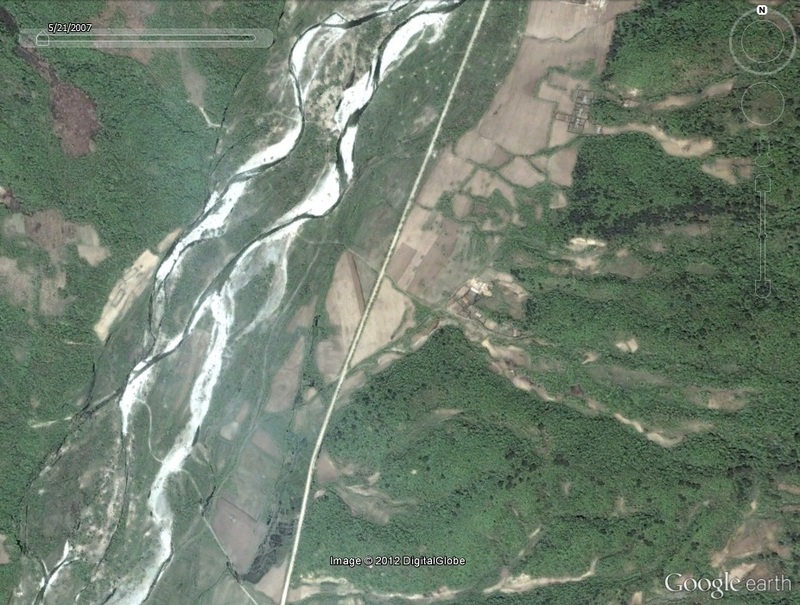 This week I found a new North Korean runway in Kumgang County which appears to have been built between 2007-5-21 and 2012-9-22 to replace a disused runway five miles to the south. 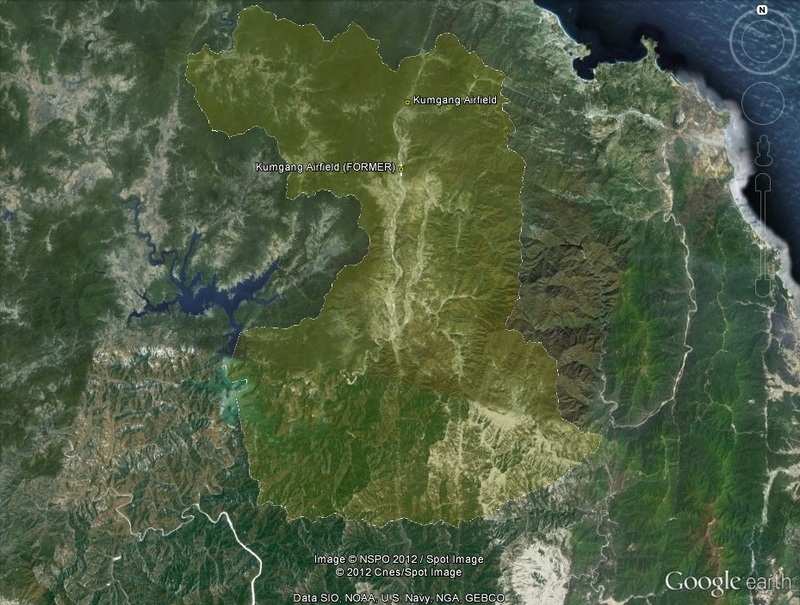 Pictured above (Google Earth): I have outlined Kumgang County and show the positions of the old and new runways. 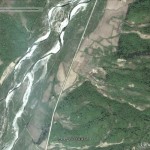 The nearby Kumgang-chon River has eroded a southern portion of the runway. It also appears a small drainage canal has been dug across a central section of the unpaved runway. 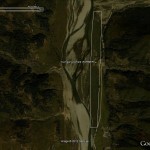 To begin with, the runway (appx 1km x 70m) is paved. 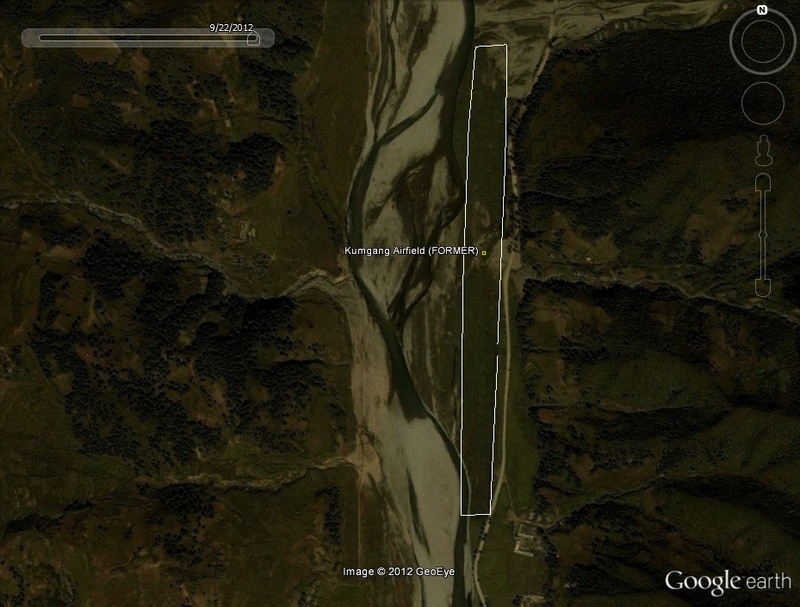 I was curious as to whether this runway is intended to serve primarily for civilian or military purposes. Evidence in favor of civilian use: The runway is close to Inner-Kumgang. 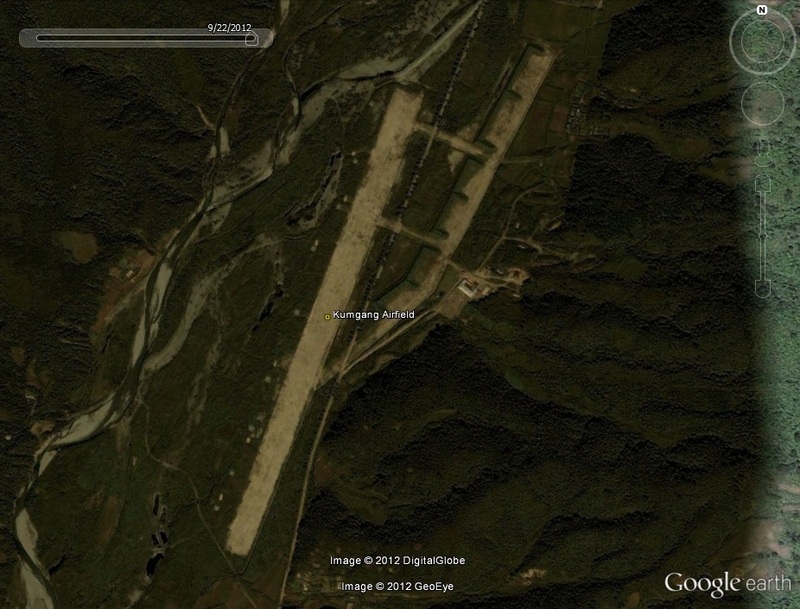 Tourists could conceivably fly to this airport and drive appx 20 km (by road) to the Inner Kumgang Rest House. Tourists could also drive 35km to the Kumgang resort. Additionally, there is already a large North Korean air force base just 20km due north of the new runway in Thongchon County. I am not sure if an Air Koryo IL-62M can take off/land on this new runway, but certainly any of the commuter prop planes that carry tourists on domestic flights should not find it too difficult. I think I need these. You can order them here. 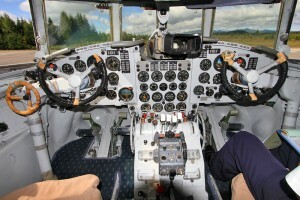 The photo set also includes interior pictures of the “famous” Ilyushin-14 given to Kim Il-sung. UPDATE: The source claims that Stalin gave the plane to Kim Il-sung in 1955, however, as a reader points out, Stalin died in 1953. Here is a flickr set put up by another member of the group. 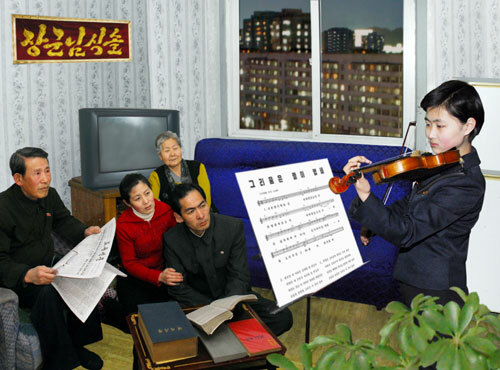 I am unsure why Rodong Sinmun felt compelled to badly photoshop what would otherwise have been a lovely photo. Is it really so hard to get a photo of a girl playing a violin in front of her (very loyal) family? 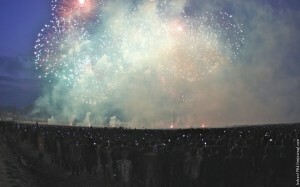 Rodong Sinmun has inspired me to coin a new word: Frankenphoto. Here is a working definition: When all of the compositional elements of a single photo were originally copied from separate pieces and painfully (badly) rendered together into a new image that at times seems to violate the laws of nature. Just weird [revised]: Below is a very strange act that appeared on North Korean television. I did not understand it at all. After posting it, however, a reader informs me that is is a knock off of an act that appeared on Soviet Television. The original Latvian actor was named Arkady Raikin (Аркадий Райкин). See video of Raikin here. Wikipedia page here. In this North Korean version, skip to the 3:26 mark. New characters emerge at 5:26, 7:08, 8:17, 10:06.